Come see this popular Portofino villa in SaddleBrooke, Tucson's Premier Active Adult Retirement Community. The villa fee covers all exterior maintenance, roof maintenance, pest control, &landscaping. This is perfect for a winter getaway from the cold weather up north. 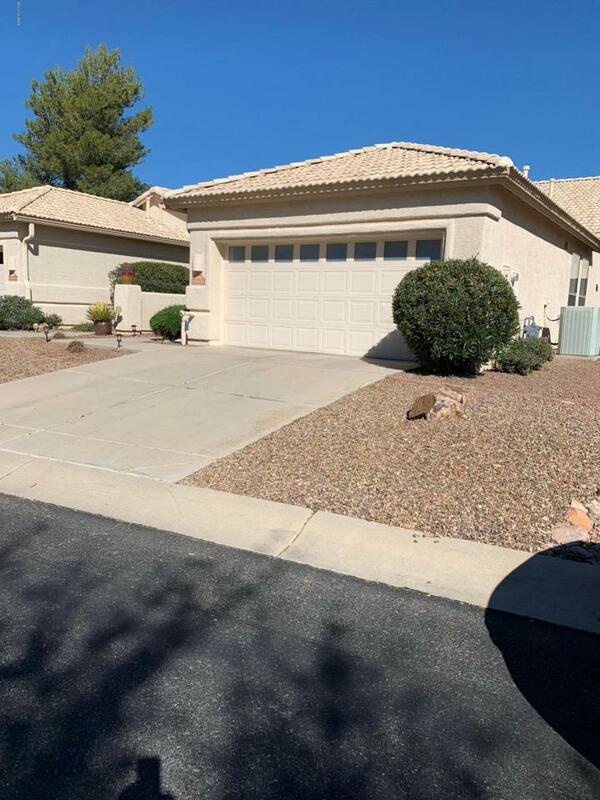 This home features two bedrooms and two bathrooms, security screen front door, patio has been extended, neutral tile floors, and carpet in the bedroom. The kitchen has slab granite countertops with under mount sink, a separate utility room with washer/dryer, and the list goes on.